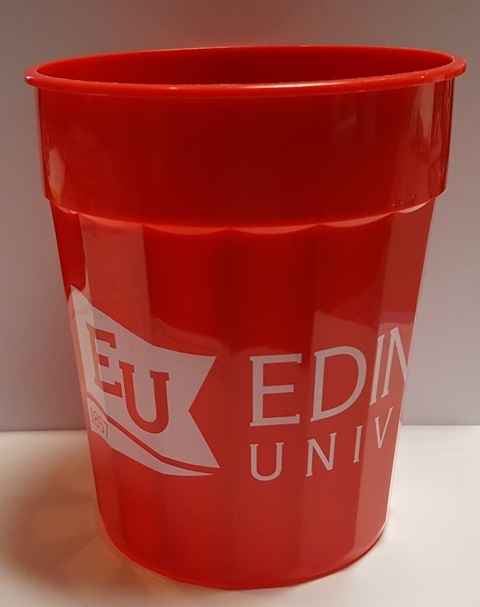 24oz Red Stadium cup with fluted sides and the Edinboro University logo wrapped on the cup. Very durable cup and MADE IN THE USA!! !